There are 3,500 known species of cockroaches worldwide. Of these, 69 species are found in the United States, with most of these species located in Florida. Although roaches are generally non-social insects, one roach family member is well-recognized for its established social hierarchy. Cockroaches are generally not considered social insects. This means they don't have an established hierarchy with a queen or king roach. 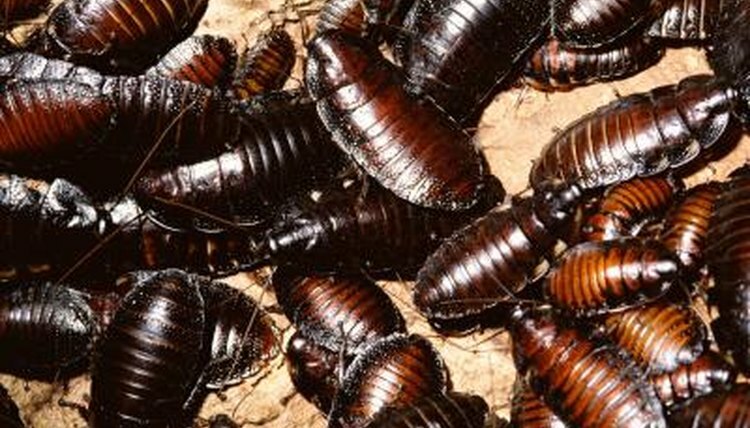 The number of eggs produced by female cockroaches varies by species. For example, a female American cockroach produces up to 90 egg sacs, or oothecae, in her lifetime; each sac usually contains 15 embryos. In contrast, a female brown-banded cockroach produces 20 egg sacs in her lifetime, each containing 10 to 18 embryos. Termites were recently classified as a family of cockroaches known as Termitidae. They are social insects and, unlike other types of roaches, do have a queen and king. The queen's only role in a termite group is egg production. Once a king and queen termite find each other, they produce 30,000 eggs every day. These eggs hatch into termites responsible for different roles in the society. For example, worker termites maintain the nest and provide food for the group, while soldiers play a defensive role. How Long Does It Take for Roaches to Reproduce?